The Republican response to the State of the Union address, sometimes referred to simply as the Republican response, is a rebuttal speech, often brief, delivered by a representative (or representatives) of the Republican Party following a presidential State of the Union address when the president is a Democrat. When the president is a Republican, a similar rebuttal is referred to as the Democratic response. 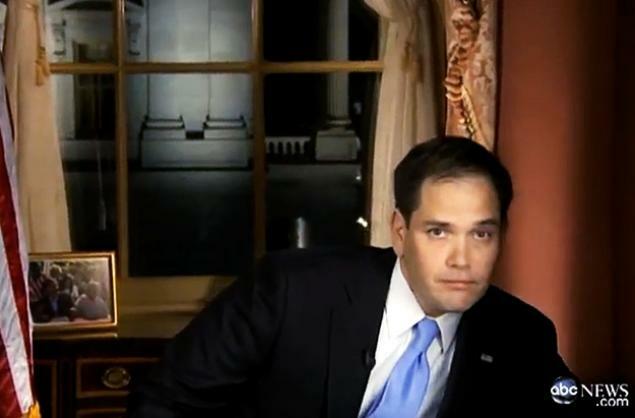 Florida U.S. senator Marco Rubio delivered the the most recent Republican response, in both English and Spanish, on February 12, 2013. Next articleIs Steve Harvey a Bigot?